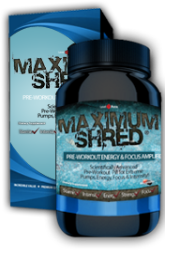 Maximum Shred Review - Does It Work? Dave Walker Date: December 23, 2014 Pre Workout	2 Comments on Maximum Shred Review – Does It Work? Gaining size is one thing but getting shredded is the true goal for most guys. Showing off hard-earned, chiseled muscle gives you one of the most satisfied feelings you can imagine. Unfortunately, time and genetics might not be on your side with helping you get to that goal. This is where a great muscle-building, fat loss supplement comes in. 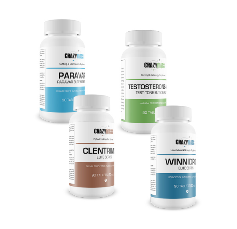 With the right ingredients, you can reach your dream of achieving that dry cut look but not all supplements are created equal. Maximum Shred promises ripped muscle in just a few weeks but is this formula all the company says it is? Let’s take a look at the ingredients and finer details of Maximum Shred to see if it’s worth the buy. This ingredient has become an official staple in most pre, intra, and post workout formulas. You’ll know immediately when Beta Alanine is in your supplement because you’ll experience that famous flushed face and tingling feeling. This non-essential amino acid is so popular because of its ability to increase carnosine levels. Highly concentrated in muscle tissue, carnosine is known for its anti-aging benefits but, more importantly, for its ability to pay off in the weight room. High levels of carnosine result in increased strength and bigger gains in lean muscle mass. Found on supplement labels as AAKG, this amino acid ingredient is slowly making its way into pre and intra workout supplements. Why all the fuss? AAKG has been shown in various studies, including this one from Journal of the International Society of Sports Nutrition, to increase L-Arginine levels in the blood and muscle tissue. L-Arginine is a known nitric oxide booster. Increased levels of nitric oxide in the body will have a positive influence on the development of lean muscle tissue. This comes from the release of growth hormones and the support of protein synthesis: both of which are crucial for muscle building. Found in many pre-workout formulas and energy drinks, Taurine is an amino acid that has been shown to lower the levels of cortisol in the body. Cortisol is a stress hormone released during fight or flight situations. The abundance of cortisol in the blood may lead to decreased levels of crucial growth hormones such as testosterone. What happens when your testosterone starts to take a dive? Mood swings, loss of libido, and decreased levels of muscle mass. Taurine may allow for your body to increase its natural production of testosterone. Supplementing with Taurine helps to support the post-workout recovery process and protects those hormones needed for growth. Caffeine is a classic thermogenic ingredient that is also one of the most popular found in a variety of different supplements. Aside from boosting your mental state and alertness (hence the reason you drink it first thing in the morning), Caffeine has plenty of fat-burning and muscle-building benefits. When it comes to losing that stubborn fat, Caffeine increases your metabolic rate while attaching itself to fat cells, ensuring these cells are used as an energy source. In other words: fat oxidation. This sparing act on your muscle glycogen stores helps you perform at a higher output for a longer period of time resulting in a larger amount of muscular hypertrophy. No wonder everyone loves this stuff. This mineral has long been a popular supplement recommended for a variety of ailments in countries such as Germany and France. Magnesium itself is responsible for supporting over 300 processes within the human body so its importance is readily apparent. Most notably, Magnesium is important for enzyme reactions, bone metabolism, and nerve impulses. When it comes to the realm of fitness and muscle, Magnesium helps with the creation and assimilation of Adenosine Triphosphate, or ATP. Supporting the production of ATP is good news for your muscles as this is their first line of fuel when it comes to power output during exercise. The more of it your muscles have readily available, the more you can do. Magnesium also helps with the post-workout recovery process, encouraging natural sleep and a higher level of growth hormone release. “By clicking ‘Order Now’, I agree to the terms and conditions. I will be charged today for shipping and handling and receive a trial bottle of Maximum Shred. If I do not cancel within 14 days, I will be billed $87.47 for the bottle received and enrolled in the membership program, where a fresh supply will be shipped every thirty days at the members price of $87.47 thereafter until cancelled (regular price is $120). As soon as you sign up for that “free” bottle, you are immediately enrolled into an automatic monthly auto-ship of Maximum Shred. Based on the formula alone, Maximum Shred is a decent product. One that would certainly support endeavors of lean muscle growth and fat loss for those new to weight lifting and supplementation. With that said, it’s not the best supplement you can find. There are dozens of supplements on the market with a superior formula, brand, and price. Speaking of price: the $87.47 you are charged per bottle is an outrageous charge for basic ingredients that you can buy individually for a fraction of the cost! $90 can go a long way in the supplement world if you know what ingredients you need. Taking the mediocre formula and factoring in the shady business practice of automatically enrolling customers into an expensive monthly auto-ship, Maximum Shred is a complete waste of money. Can I take this if im taking blood thinners? I dont see any reason why you can’t, but check with your doctor to be sure.